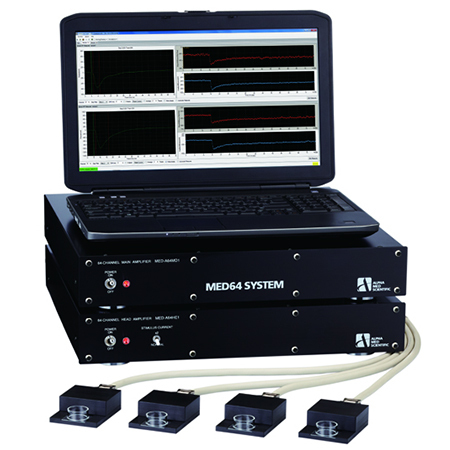 MED64-Quad II system is a medium throughput MEA system both for acute and cultured applications. Extracellular signals are recorded from 4 independent Probes/Connectors, which will give high flexibility. It is a powerful solution for drug discovery screening. 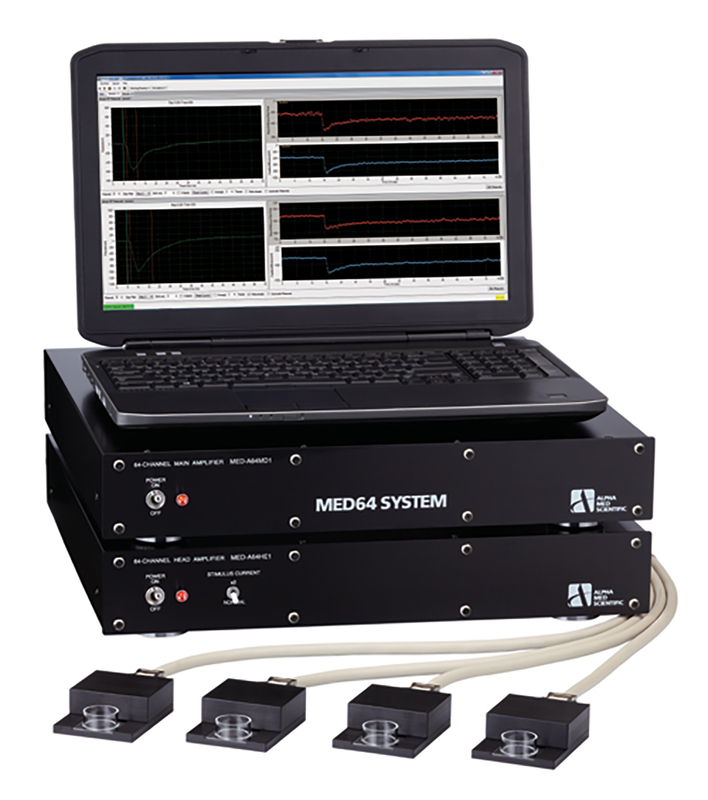 The MED64’s high fidelity will provide more accurate and reliable data allowing for advanced screening. Acquire extracellular signals from 4 samples (16 electrodes/sample). Stimulation to all samples sequentially (up to 2 electrodes simultaneously) using internal stimulator. Low-cost shift to MED64-Allegro/Basic System.